Jeremy Jackson is Director of CMBC, the William E. and Mary B. Ritter Professor of Oceanography at the Scripps Institution of Oceanography in La Jolla, California, and a Senior Scientist at the Smithsonian Tropical Research Institute in the Republic of Panama. He was Professor of Ecology at the Johns Hopkins University from 1971 to 1985. Dr. Jackson is the author of more than 100 scientific publications and five books. His current research includes the long-term impacts of human activities on the oceans and the ecological and evolutionary consequences of the gradual formation of the Isthmus of Panama. He co-founded the Panama Paleontology Project in 1986, an international group of some 30 scientists, to help support his isthmian research. He has also worked extensively on the ecology of coral reef communities and the tempo and mode of speciation in the sea. Dr. Jackson is a Fellow of the American Academy of Arts and Sciences and the American Association for the Advancement of Science, and received the Secretary’s Gold Medal for Exceptional Service of the Smithsonian Institution in 1997 and the UCSD Chancellor’s Award for Excellence in Science and Engineering in 2002. 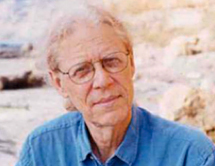 His work on overfishing was chosen by Discover magazine as the outstanding environmental achievement of 2001. He has served on committees and boards of the World Wildlife Fund US, the National Research Council, the National Center for Ecological Analysis and Synthesis, and the Science Commission of the Smithsonian Institution.